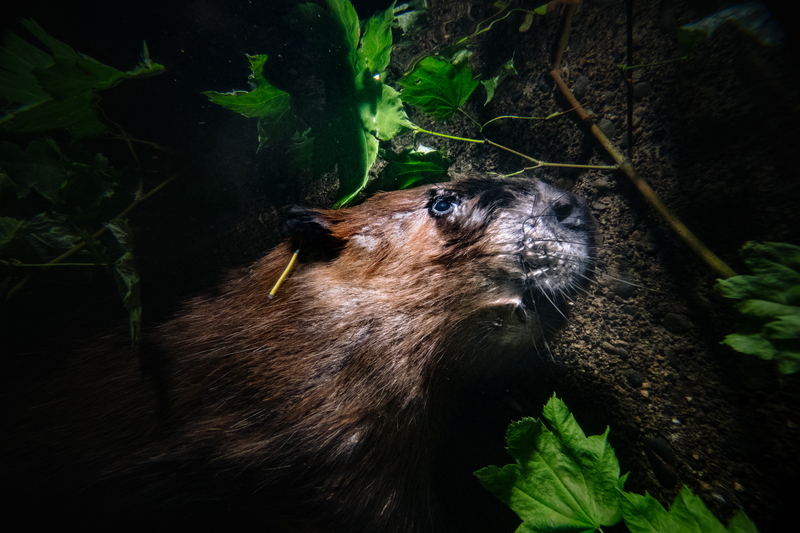 Underwater shot of a beaver in the raceway of the Tulalip Tribe's fish hatchery in Washington. Beaver will hang out at the hatchery until enough are collected for release onto impacted stretches of river. Beaver are extrememly social animals with strong family bonds, so biologists try to capture as many individuals in a family as they can or pair beaver with others before release into the wild. Beaver can hold their breath for up to 15 minutes.